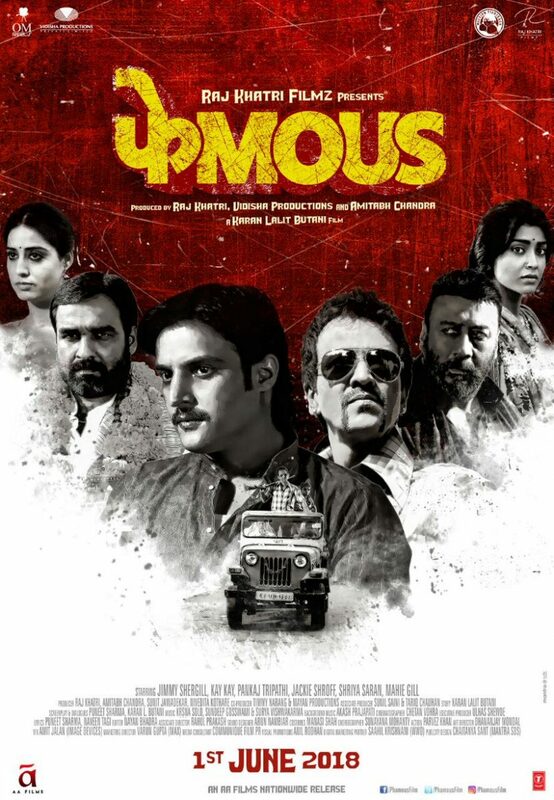 Phamous, directed by Karan Lalit Butani and starring Jimmy Sheirgill, Shriya Saran, Kay Kay Menon, Pankaj Tripathi, Jackie Shroff and Mahie Gill, is an entertaining masaala movie with great one liners and a plot that is filled with twists and turns. The story is mainly about how people excercise and crave power, and will do anything to get it. It shows, in very impressive ways, how the characters struggle to grasp it, and how they will do everything to make it possible its their. Most of all though, all the actors are so good at inhabiting these nasty, angry and scared characters that they make the movie enjoyable. Jimmy Sheirgill has always been a capable actor, and has won critical acclaim for his performance in Mukkabaaz earlier this year. 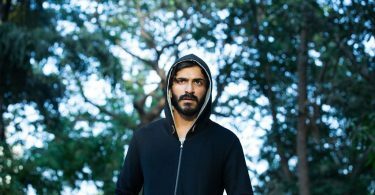 And in Phamous, he has yet again proved that his capabilities are far beyond the characters he has displayed, and he shows here a character who is loving, cunning and ruthless at the same time. Pankaj Tripathi, another great actor working in the industry is good as always, and some of his scenes are hilarious and disturbing in equal measure. As for the ladies, Mahi and Shriya are both given less to do than their male co-stars which is a shame, because they both display range in their roles. They also show how women are often the victim of male egos around them, but can still play the game when they want. 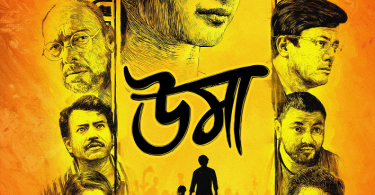 The movie is beautifully shot by Chetan Vohra and Butani directs with flair and style. The movie is a good watch people who want good, old school dramas with great acting and powerful performances.